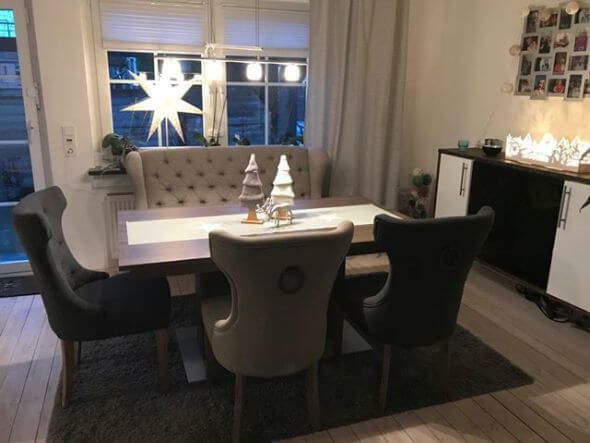 Everyone has their own style when it comes to dining furniture, and we like to think that we have something for every interior. 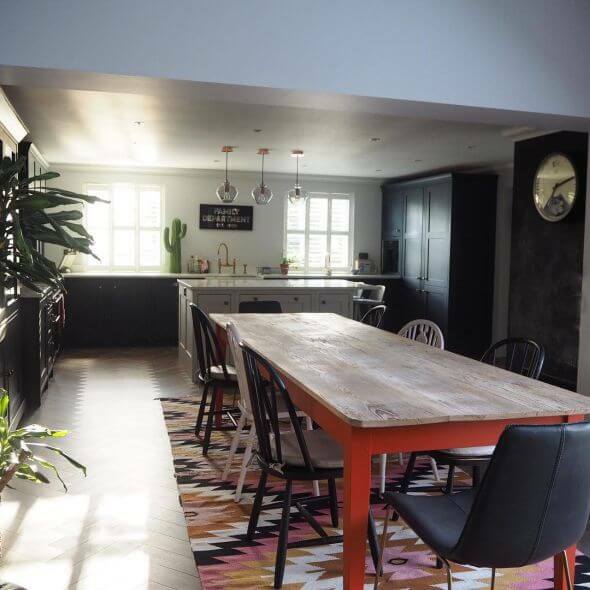 From upholstered chairs to pipework tables, we’re sharing how our customers have used our products in their home. 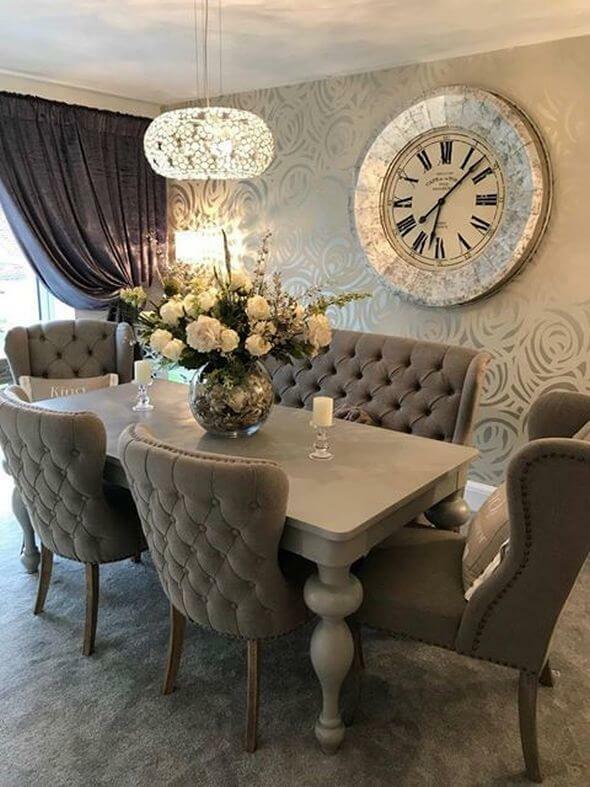 Upholstered seating is often a first choice for glamorous dining furniture, especially as many of our ranges feature deep buttoned backs and brass studs. The elegant appearance immediately adds luxury to any room, and suits a multitude of interiors. Emma and @nevilletonhouse both chose stone ‘St. Emilion’ seating and stone ‘Chamonix’ chairs to complete their looks. Similarly, Nicola chose the stone ‘St. Emilion’ bench, but paired hers with stone and pewter grey ‘Loire’ chairs, which feature a ring pull to the back. Katey opted for the slightly smaller ‘Brittany’ chairs in stone and pewter grey, placing stone ‘St. Emilion’ chairs at the heads of the table, whilst @homesquire went for the ‘Versailles’. The variety of styles pictured below goes to show how versatile these chairs really are! 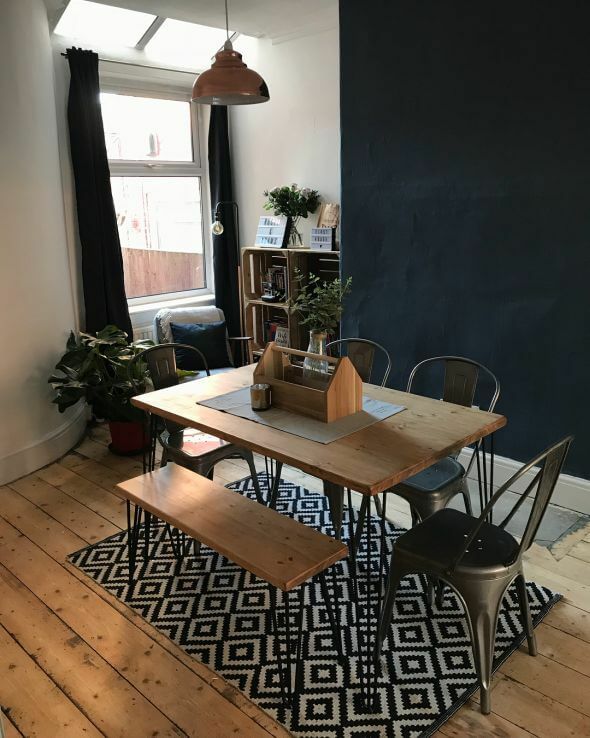 In contrast to the plush upholstered seating, our gunmetal ‘Tolix’ chairs are perfect for those who want to add a touch of industrial style into their kitchen or dining room. Their simplistic design makes them easy to coordinate with other furniture, be it metal or wood, and are easily personalised; ‘Tolix’ seat pads are available for those who wish to add extra comfort to their chair, too. These chairs are also available in a selection of other colours. Instagrammers @mrsmerrelyeah, @rosielees91 and @ourfoxglove have these chairs in their homes, all choosing to pair them with wood top tables. With many kitchens now featuring islands or breakfast bars, bar stools are becoming an ever-more commonplace sight in the home. We stock a wide variety of bar stools, including those with backs, without backs, height adjustable and available in a several heights and colours. 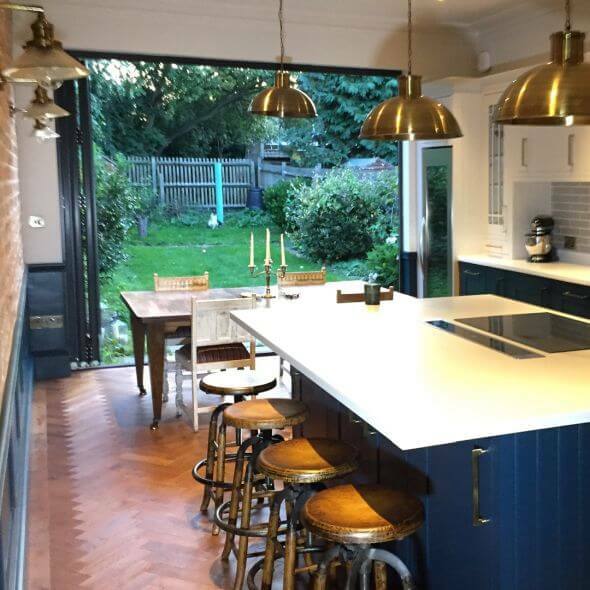 Instagrammer @lovelyideas4home has an industrial inspired kitchen, which is perfectly complemented by our industrial style ‘Old English’ bar stools. 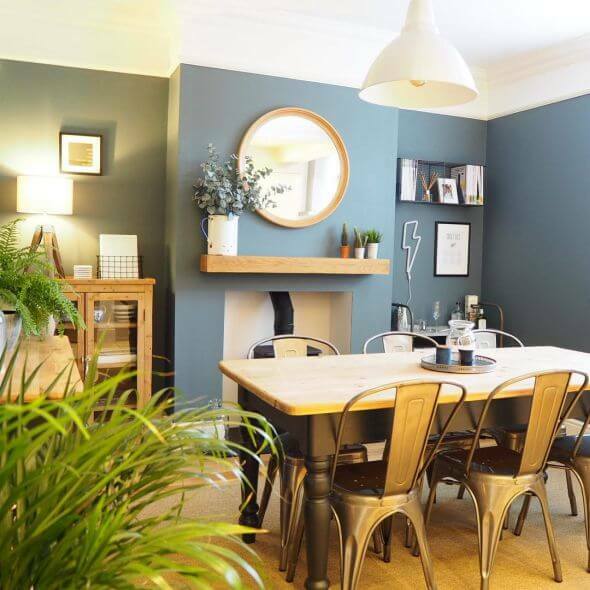 If you love our ‘Tolix’ style chairs, then you’ll be sure to love our coordinating stools; Milk Education chose our vintage copper ‘Tolix’ style bar stools for their office breakout area. For something a little out of the ordinary, we have a vast selection of leather dining chairs to choose from. 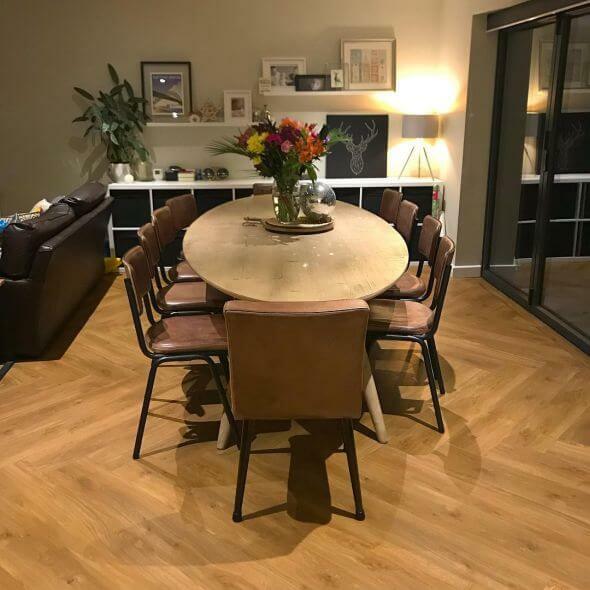 @Renovation.x’s oval table looks great surrounded by tan ‘Chelmsford’ and ‘Epsom’ chairs, whilst Rekha’s dining room has been given some industrial edge by pairing ‘Newbury’ chairs with the ‘Sheffield’ steel based table and matching bench. 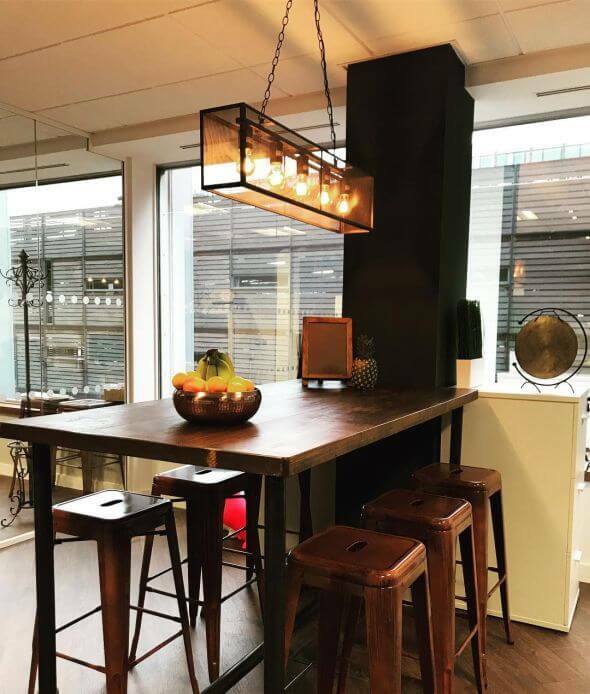 Metal base tables such as the ‘Sheffield’ are ideal for adding a bold feature to your kitchen or dining room. With many of our metal base tables, you have the option to choose the size that you want as part of our bespoke dining furniture service. Erica and Lesley both took advantage of this service; Erica’s large ‘Boden’ table is a great centrepiece for her room. She chose the dimensions, and we even painted the base in her selected colour! 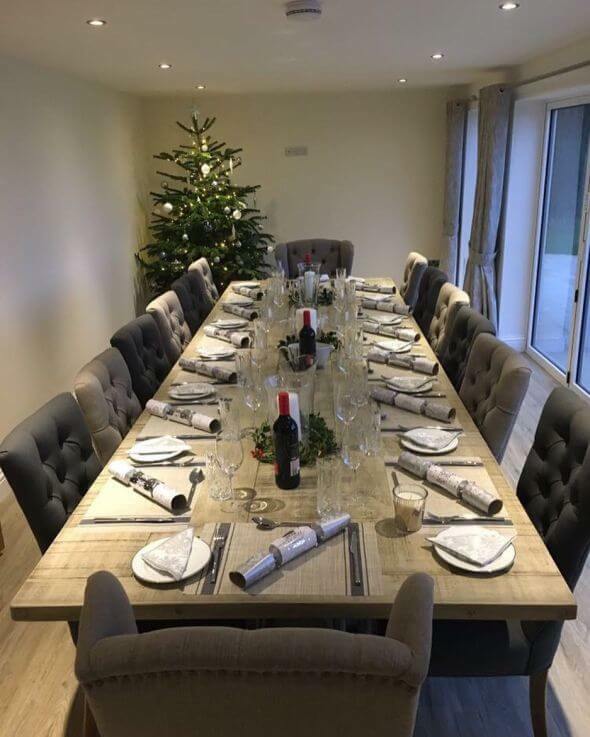 Lesley has the traditional solid seat ‘Ben’ chairs, coupled with our unusual bespoke pipework table. 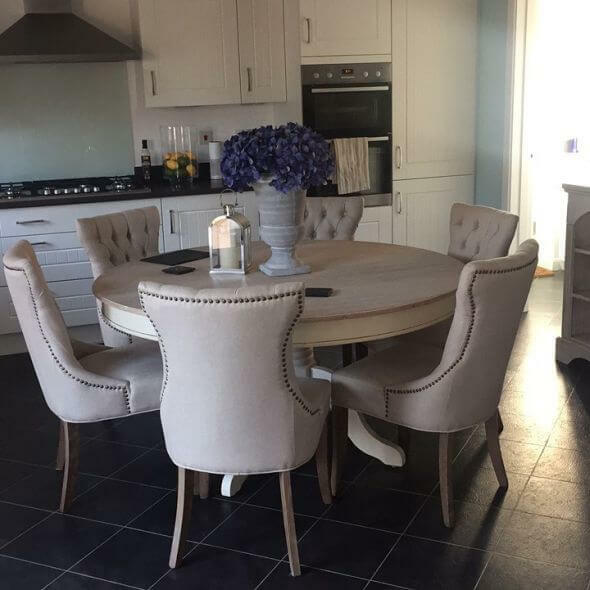 We stock hundreds of types of dining furniture – we’re sure you’ll find something you love! 1: Lesley. 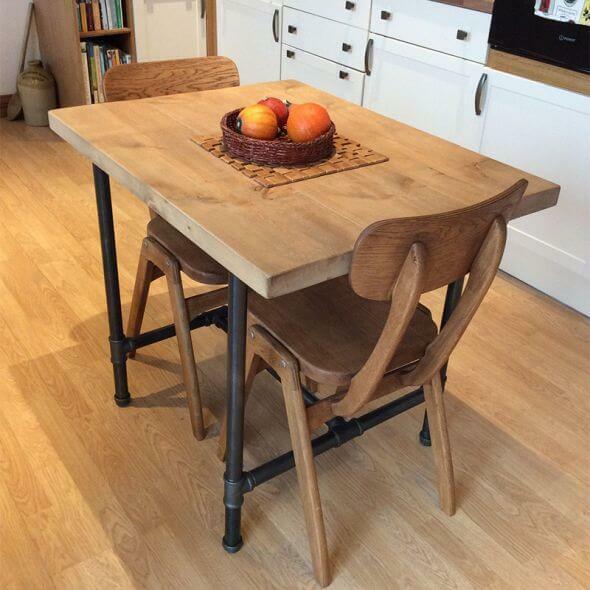 Bespoke pipework table & ‘Ben’ chair. 2: Emma Jenkins. ‘Chamonix’ side chairs in stone, ‘St. Emilion’ chairs and bench in stone. 3: Rekah Shell-Macleod. 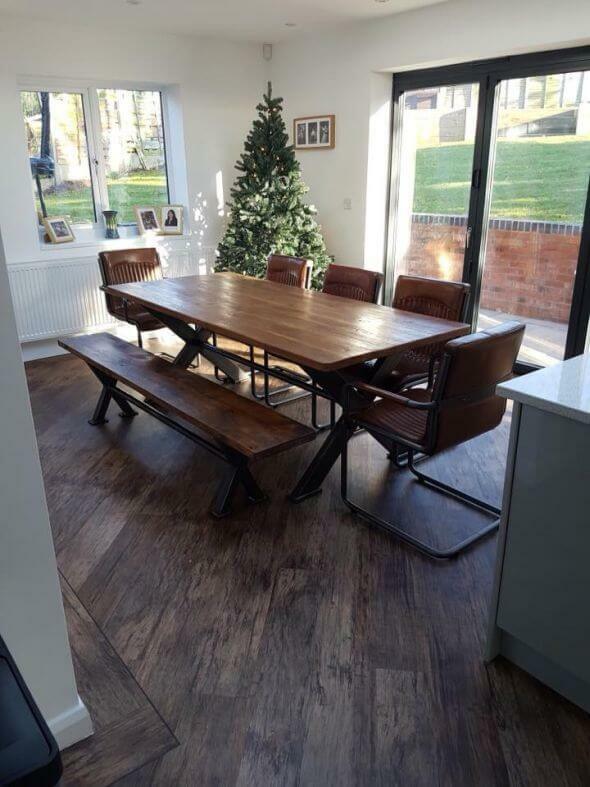 ‘Sheffield’ table and bench, ‘Newbury’ side and carver chairs. 4: Lucy Merrell. Gunmetal ‘Tolix’ style chairs. 5: @ourfoxglove. Gunmetal ‘Tolix’ style chairs. 7: Milk Education. Vintage copper ‘Tolix’ style stools. 8: Erica Davies. Bespoke ‘Boden’ table painted in F&B ‘Charlotte’s Lock’. 9: @nevilletonhouse. ‘Chamonix’ chairs in stone, ‘St. Emilion’ chairs and bench in stone. 10: @harronhomes. 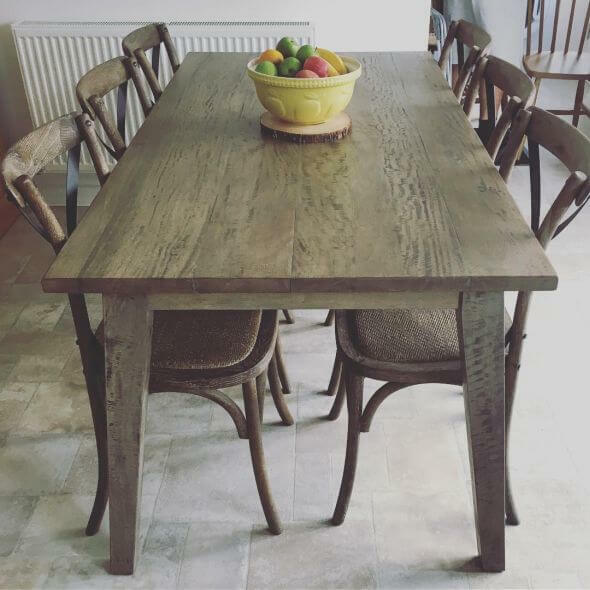 Rustic oak ‘Bentwood’ chairs. 11: Katey Archer. ‘St. Emilion’ chairs in stone and ‘Brittany’ chairs in pewter grey and stone. 12: Rosie Lees. 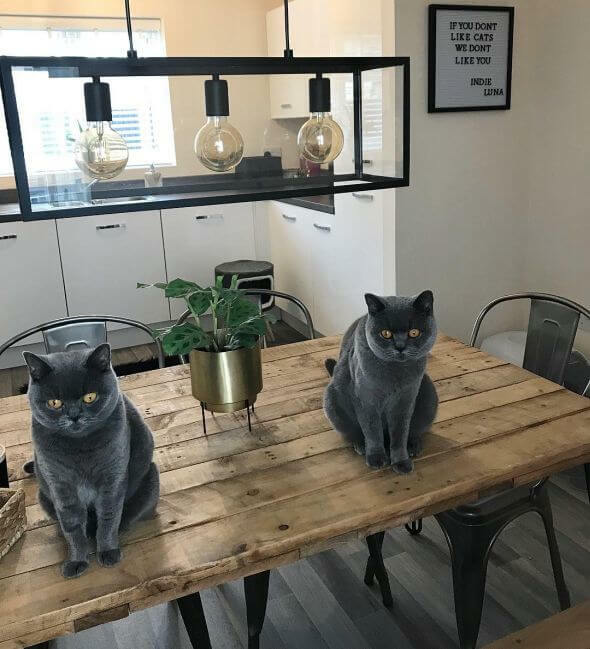 Gunmetal ‘Tolix’ style chairs. 13: @lovelyideas4home. ‘Old English’ bar stools. 14: @renovation.x. Tan ‘Chelmsford’ and ‘Epsom’ chairs. 15: Nicola Kim. Stone ‘St. Emilion’ bench, ‘Loire’ chairs in stone and pewter grey.